I would be a hypocrite; I am totally obsessed too. 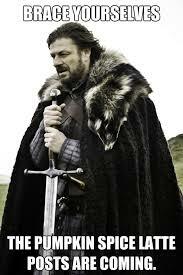 I love fall for the cute, comfy sweaters, scrunchy boots, decorative scarves, but most of all…. I love it for all the drink and food inspiration. What better time of year to start making those homemade delicacies? It’s about classic comfort foods. But does it have to be “the same ol’ thing?” Absolutely not! In the comments section feel free to let me know what you would be interested in learning how to make that is fall oriented. I am thinking about loads of different pastas, side dishes, and soups through butternut squash, spaghetti squash, pumpkins, apples, and other lovely fruits and vegetables! For my next few posts, I’ll be presenting a few twists to your familiar favorites. 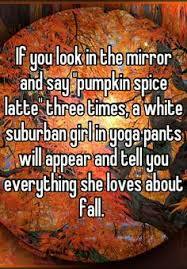 But to warm you guys up, today I will give you my Pumpkin Spice Latte recipe that I’ve been using to start up my crisp, fall mornings. Directions: Get a small sauce pan, turn on the stove to medium, and put in sugar, pumpkin puree, vanilla, nutmeg, and ginger into the sauce pan. Slowly pour 2 1/4 cups of milk and 1/2 cup of espresso. Whisk thoroughly for at least 8-10 minutes. Make sure you do not let it boil over! Serve hot with copious amounts of whipped cream and sprinkled nutmeg on top! Tip: Try to use clear mason jar glasses for the coffeehouse effect. Tune in tomorrow for Butternut Squash Risotto–yum! 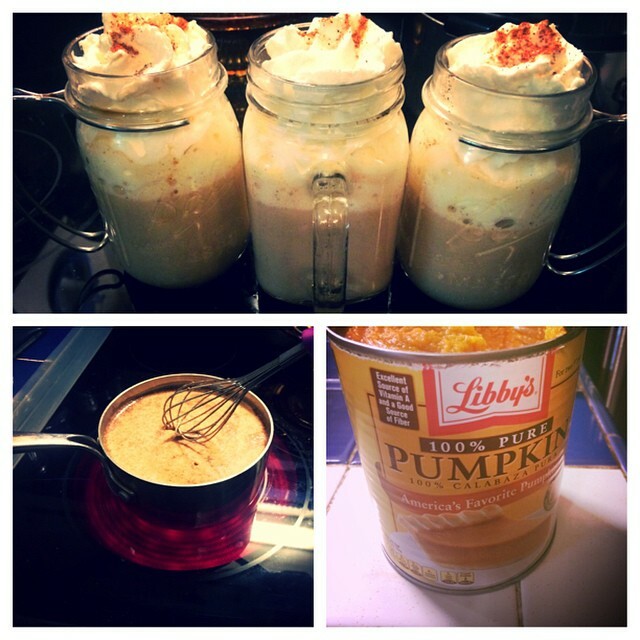 Delicious and crave-worthly PSL; it’s like autumn in a mug! Get a small sauce pan, turn on the stove to medium, and put in sugar, pumpkin puree, vanilla, nutmeg, and ginger into the sauce pan. Slowly pour 2 1/4 cups of milk and 1/2 cup of espresso. Whisk thoroughly for at least 8-10 minutes. Make sure you do not let it boil over! Serve hot with copious amounts of whipped cream and sprinkled nutmeg on top!